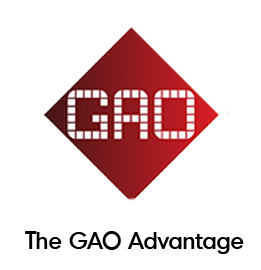 Hospitality Industry | RFID Solutions - GAO RFID Inc. The Hospitality industry encompasses a wide range of sectors such as casinos, resorts, hotels, theme parks , tour operators, and restaurants. Common among all sectors is what is at the heart of the hospitality industry: customer service. To continuously excel at providing service to its customers, the priorities of the industry are to automate inventory management, increase security, and enhance the experience through personalization. GAO RFID’s solutions offers the industry innovative ways to achieve these goals. Every sector within the Hospitality industry knows that its brand image can be affected by the smallest error or the inability to keep up with the competitive landscape. Product quality and service excellence are the primary goals that provide the most challenges. Large equipments in casinos and hotels, buses and boats used in tour operations, and amusement park rides all need to be inventoried and maintained. It is also a challenge to have an automated, always-on method to detect water leaks and check utility controls within hospitality facilities. All of these equipment carry a heavy capital cost to the business and need to properly monitored to deter theft and ensure timely maintenance. Use RFID to locate your valuable equipment and monitor maintenance schedules to ensure they are always available and ready to use. Linen and guest room inventories, employee uniforms, casino chips, and food and beverage items are all popular items that are continuously used in the industry. Knowing inventory levels and locations are difficult tasks that need automation. And since they are the most-used, the efficient management of these inventories are the key to efficiency and profitability. Tagging your items with RFID technology lets you locate and identify any item in real-time and have a clear view of what’s in your inventory. Ensuring employee safety, security, and productivity are key metrics for every organization in Hospitality. Knowing where personnel are located and how long it takes for them to complete tasks throughout the day will keep the venue both safe and efficient. And if these abilities can be integrated with an existing payroll system, this would bring added value to the entire operation. Assigning RFID badges to every personnel allows you to track and locate your employees to keep your venue safe and efficient. These badges also log time and attendance, and can easily integrate with existing payroll systems to automate HR processes. Controlling access to zones, suites, and rooms is pertinent to providing a safe and secure experience to guests. It would be optimal to have key cards that can perform this operation without the inconsistency of magnetic swipe technology, while being able to integrate guest purchase information; this would provide an all-in-one way for recording guest interaction during their stay. RFID key fobs or wristbands can replace traditional key cards; being encrypted, they provide an added layer of security for guests, and can also be used by the guest to make purchases throughout their stay. The Hospital industry is driven by the need to deliver the ultimate experience to its guests. To stay ahead of the competition, every organization aims to find ways to personalize the user experience. RFID wristbands can be provided to guests that can also be used as room access keys, but also provides a way for the establishment to identify customers to provide a personalized experience throughout the entire visit.